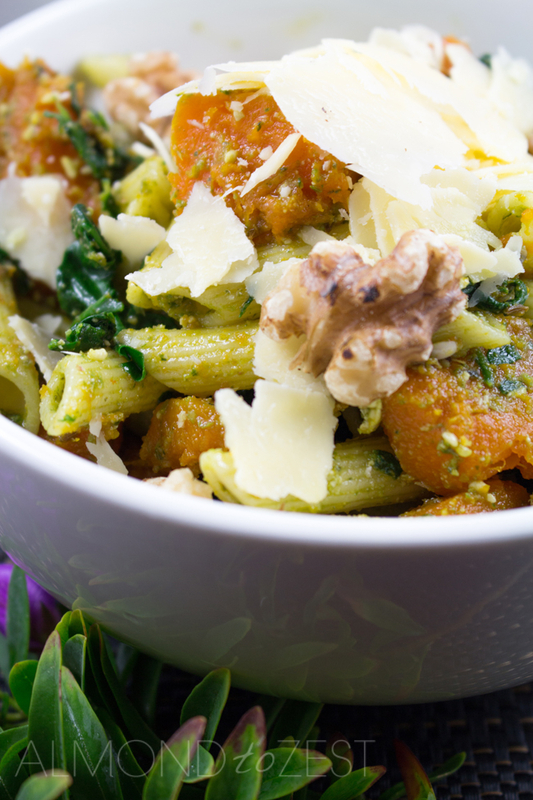 This is another way you can incorporate my scrumptious roast pumpkin chunks into a dish. 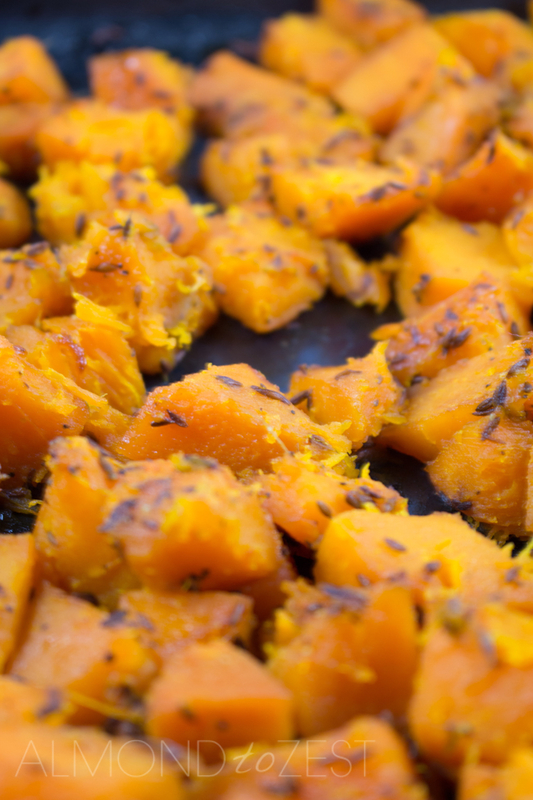 If you missed this post you can check it out at HOW TO: ROAST PUMPKIN CHUNKS. Pasta salads are one of my favorite kinds of salad. You are given the joy of eating yummy salad ingredients without the need of lettuce. Instead you get to bulk it out with carb-loaded pasta. And who doesn’t love a mouthful of pasta on their fork? So what are the three P’s in this healthy salad alternative? The first P is for my nutty, peppery cumin infused roast pumpkin chunks. 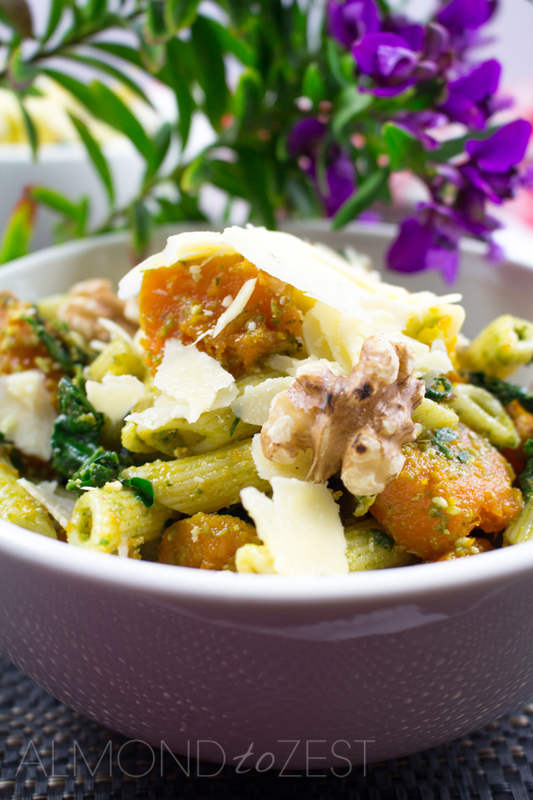 The second P is for the pesto that dresses the pasta salad. I have used a basil-flavored pesto for this dish. And the third P is for the Parmesan cheese that gets grated on top. It gives the salad a nice sharp flavor kick. These three P’s are not alone in this salad. Sautéed spinach is added as the leafy green component. Spinach is soooo good for you. It is packed with tons of vitamins and minerals. And if you’re a vegetarian then it is a must have to increase your iron levels. Toasted walnuts give a toasty, bitter flavor and crunch to the pasta salad. Plus it gives you a good boost in omega 3 fatty acids. I personally think nuts are under rated. We should all be trying to include more of them to our diets on a daily basis. This salad will last for 2-3 days when kept in airtight container in the fridge. Prepare and cool ROAST PUMPKIN CHUNKS. Cook pasta according to directions, drain and refresh in cold water. Take a large miking bowl and place the pasta inside. Add the pesto and give it a really good stir so all of the pasta is covered. 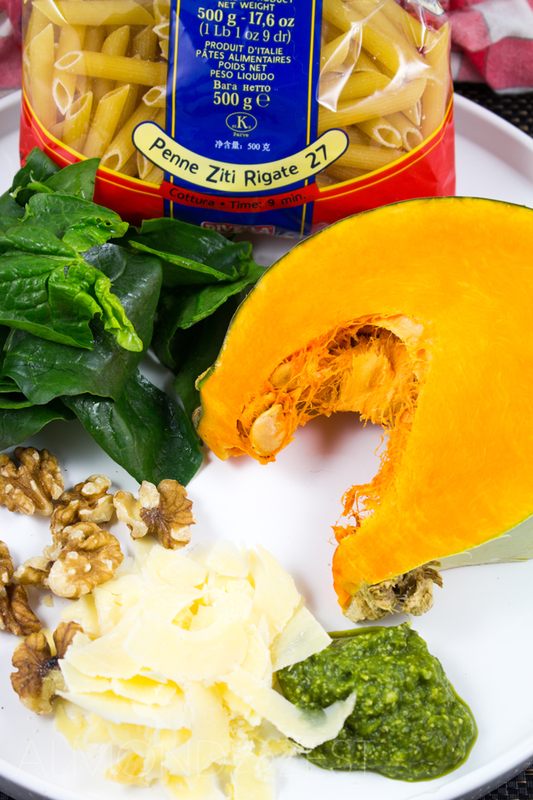 Add the pumpkin and spinach, season well and mix. 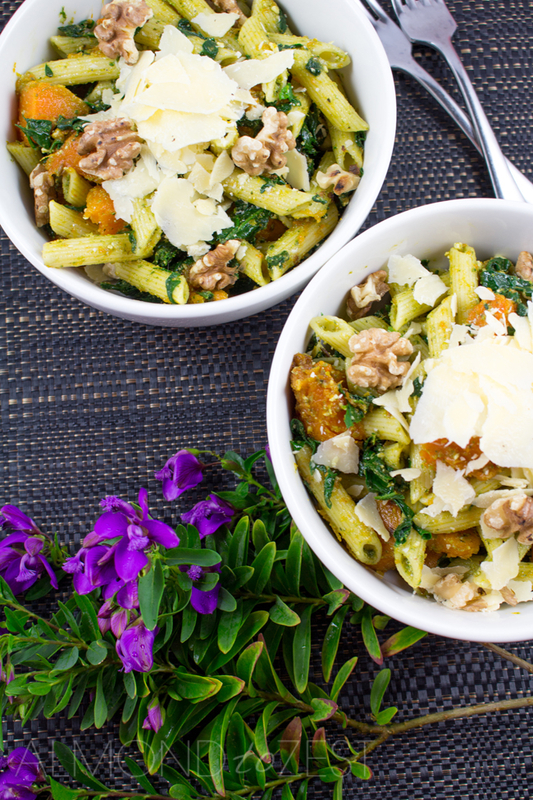 Divide the pasta salad among 4 bowls and top with the parmesan and toasted walnuts.